Includes 4 large 11 x 12 in. (27.9 x 30.5 cm) wall stickers, easy-to-follow instructions, and 50 small stickers for decorating and marking milestones. 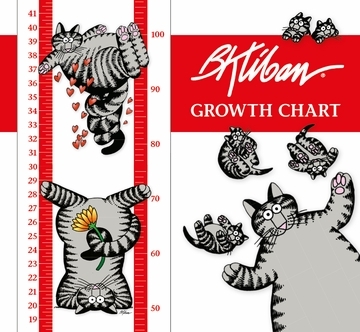 Chart begins measuring at 1½ ft. (45.7 cm) and goes up to 5½ ft. (167.6 cm), with increments provided in inches and centimeters. Chart panels can be applied to any smooth surface. Assembled chart size: 11 x 48 in. Capture cuddly kitties with these wall stickers for your wee one’s nursery, bedroom, playroom, or classroom. Record important milestones and customize your growth chart with 50 charming stickers of numbers, stars, and paw prints, as well as Cat in kooky predicaments. American artist B. Kliban (1935–1990) loved cats and had several as housemates. He was living with four furry tabbies when he got the inspiration to give them starring roles in his cartoons. Nearly forty years after their first appearance, hilarity and mild mischief still follow Cat and his merry meowers wherever they appear. Fame found Kliban after publishing his groundbreaking book Cat in 1975. This best seller made the artist an overnight sensation and revolutionized animal cartooning, opening the proverbial cat door for the likes of Gary Larson, Jim Davis, and other cartoonists of feline-connected fame. Although Kliban went on to publish seven other books, whose bitingly funny illustrations lampoon a range of subjects, he is best remembered for his quirky renderings of Cat and company. Whether they’re balancing, juggling, bouncing, or hugging they still never fail to entertain. WARNING: Choking hazard—small parts. Not suitable for children under 3 years. 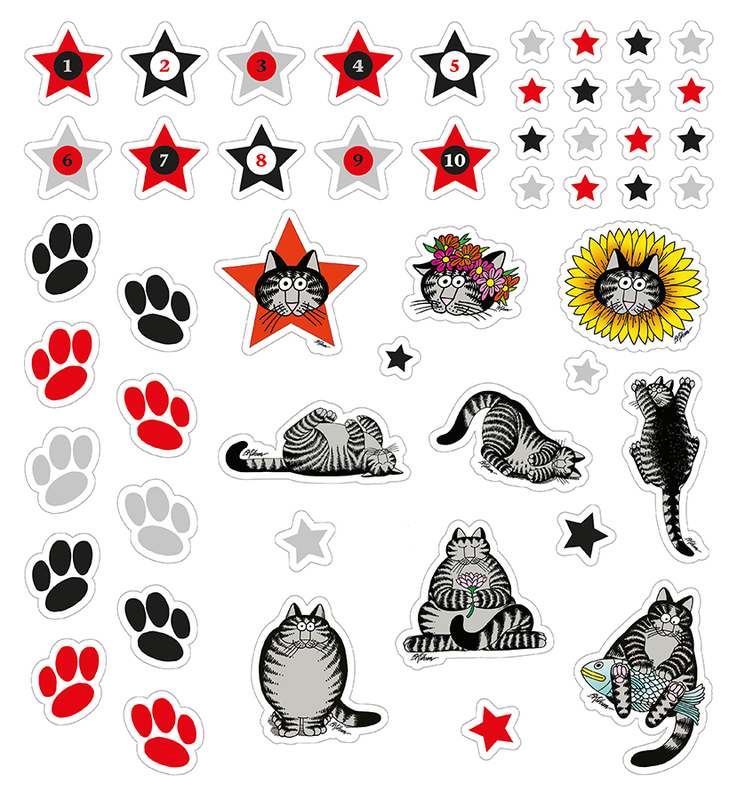 This item is phthalate-free and printed with nontoxic inks.